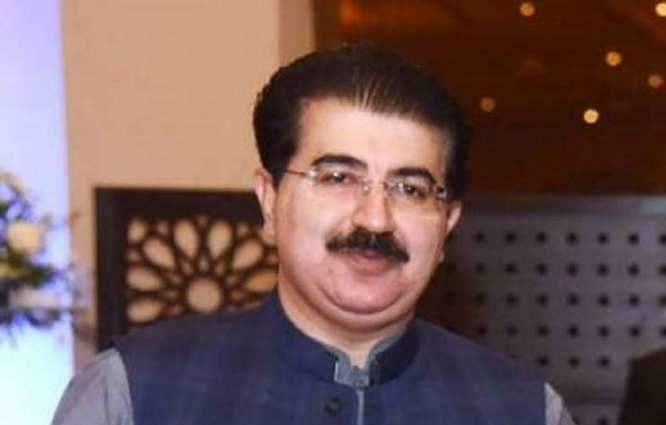 ISLAMABAD, (UrduPoint / Pakistan Point News - APP - 16th Apr, 2019 ) :Chairman Senate Sadiq Sanjrani Tuesday said that two international standard cricket stadiums will be established with the collaboration of Chinese government in Gwadar and Quetta to provide best sports facilities to talented youth of Balochistan. During a meeting with the delegation of Chagai Cricket Club players at Parliament House, the Chairman Senate said that more cricket stadiums would be constructed across the province to promote healthy sports activities. "China Pakistan Economic Corridor (CPEC) is a game changer project which will transform the fate of the province whereas the people should avail opportunities through this mega project," he said. Sadiq Sanjrani said the development projects would kick start soon in the province which would help reducing unemployment and provide equal opportunities of development and progress of the area. He advised the youth to contribute in local and national development as they have the potential to lead the nation. "There is huge talent hidden in the province which needs to explore however it has remained obscure due to lack of leadership. The Chairman said the provincial would be directed to improve sports facilities in Balochistan and initiatives would also be taken to bring forward talented and capable youth.